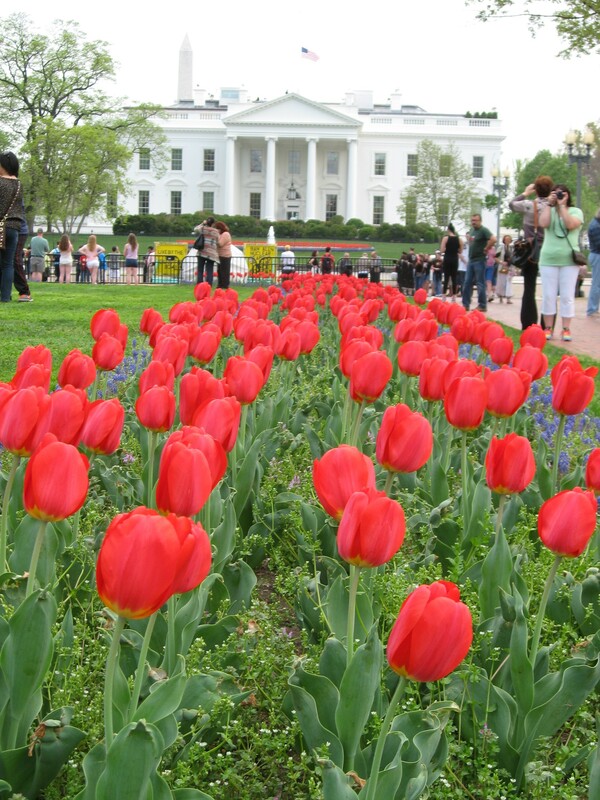 Travel for Work: Washington, D.C.
On April 21, 2013 May 1, 2013 By HeatherIn Washington D.C. Most people who travel for work know it’s not as glamorous as those who do not travel for work may think. Still, it’s really nice being out of the office and in a different setting– even when you’re working the whole time. Such was the case on our recent work trip to Washington, D.C. I was hoping we would have some free time to explore, but that ended up boiling down to a day and a few extra hours. For the most part I was at my conference, which was awesome, and the fiance was on conference calls and working from the hotel room. As far as normal D.C. activities, we made it around to the monuments and toured one of the Smithsonians and the National Archives to see the Declaration, Constitution and Bill of Rights. We missed the cherry blossoms by a few days, but there were still a couple trees with a few lingering blossoms that were pretty to see in person. 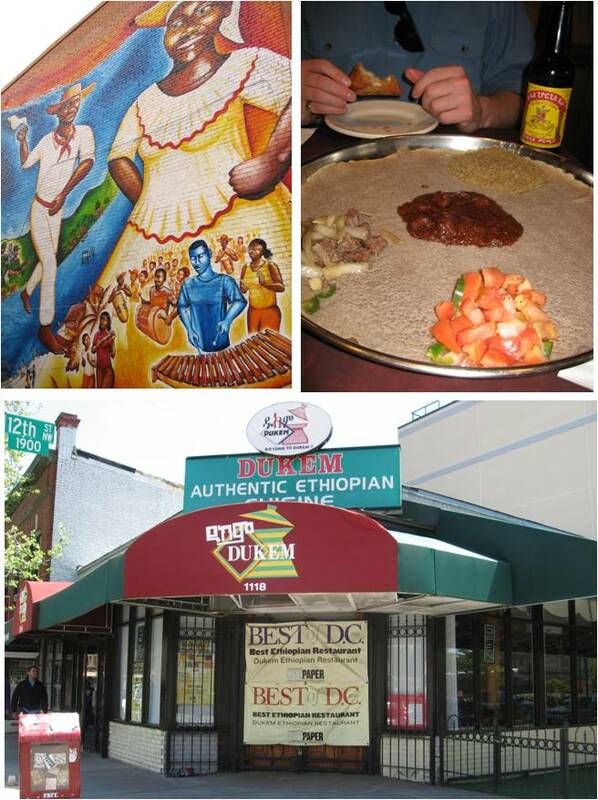 Our first time eating Ethiopian cuisine at Dukem Ethiopian, which has live cultural music on Wednesdays, just in time for our arrival! In the evenings after the conference concluded each night, we did try to explore some of the awesome restaurants around town. Outside the great information I gleaned from the conference sessions, our foodie forays ended up being my favorite parts of the trip. We are not afraid to try all foods once, and I love dropping in and spending time hunting for seats at the bar, trying a couple weird apps and then hopping on to the next place. We just get to hang out and talk–something I could never get tired of doing with him. It’s also a chance to catch up on photos we take or things we’ve seen–it is always so interesting to me what we each pick up on. Sometimes we look back at our photos when we get home, and you would think we were on two different trips. It’s a lot of fun experiencing it all again from the other person’s perspective. On this trip, we were able to catch snacks at several restaurants my work pals suggested. 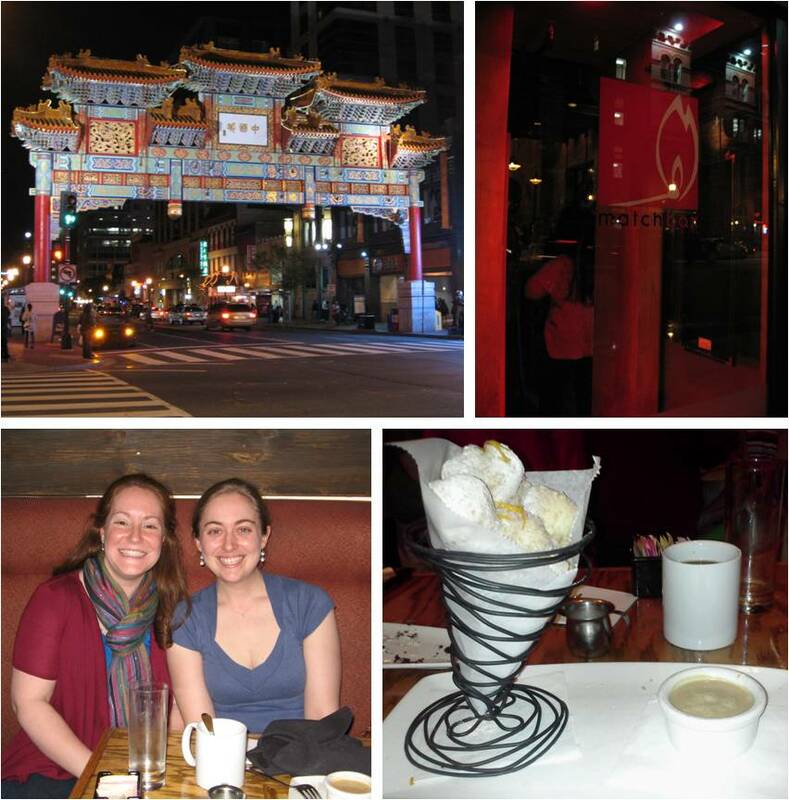 Chinatown for Matchbox, which was celebrating its anniversary and where we met up with Erin, who I studied abroad with and who I haven’t seen in eight years! Dukem Ethiopian Restaurant – Tried the combo number two; sambusa with meat, lamb wot, beef tibs, minchet abesh and tons of injera. Interesting! Churchkey – Tried the ricotta doughnuts with spiced apple butter and bourbon caramel dipping sauce and fire roasted shishito peppers with spicy peanut dipping sauce. AMAZING. Matchbox – Tried the famous burgers paired with doughnuts and coffee for dessert. Very yummy. Capitol City Brewing Company – Tried the tuna sashimi, fried green beans and sampler. Great snack. Chef Geoff – Tried the crab cakes, beer battered house pickles, hoisin duck confit and calamari. Finished with ice cream sampler of maple, pistachio and lemongrass, which was very refreshing. 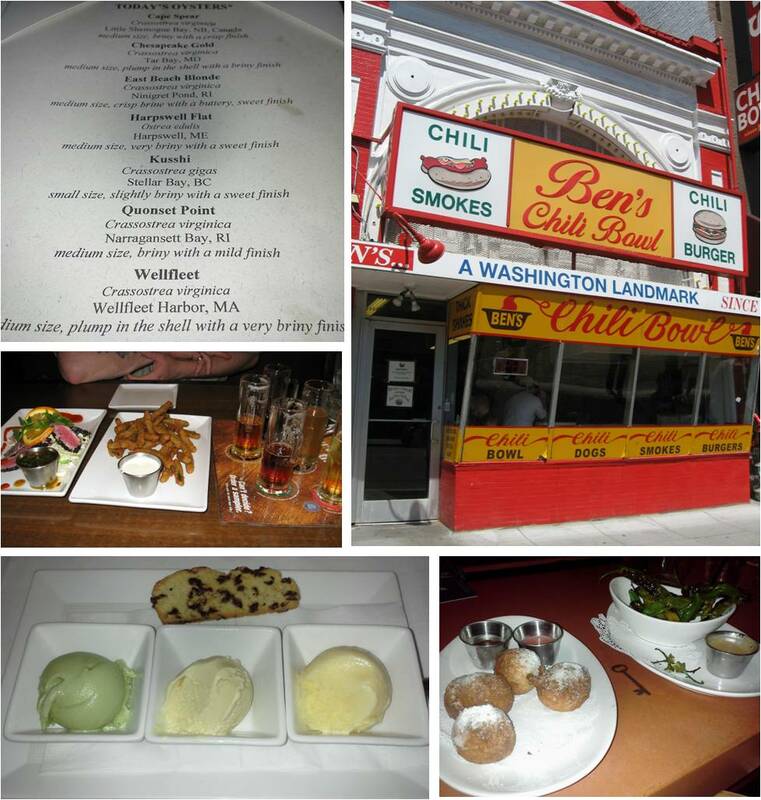 Ben’s Chili Bowl – Tried a bite of the fiance’s chili smoke and had the house chili dog and fries. Good and really fun atmosphere. Old Ebbitt Grille – Tried the raw bar sampler platter of oysters and clams. Raw oysters still my favorite. A couple other highlights of the trip included some animal sightings–one good and one bad. 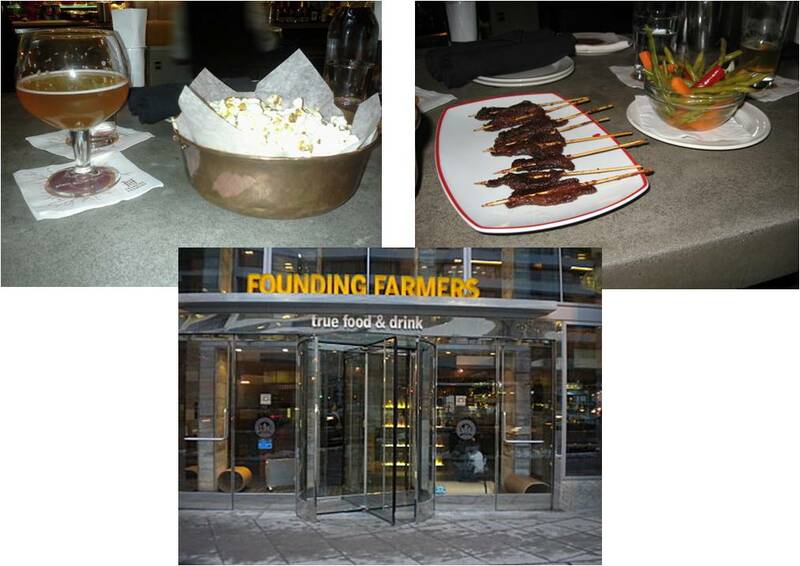 The bad was on our way to Founding Farmers our last night. We walked through a small park between the White House and the restaurant and came across a pile of rats. I thought I would die–I was horrified. I have traveled many places, and I have never come across anything like it. They must be fed because they were running around in the grass among quite a few ducks, and they did not seem at all concerned that we were walking along the path. In fact, they kept running and cutting in front of us. I was half screaming and holding on to the fiance for dear life. On a much happier note, we went to the Lincoln Memorial after Founding Farmers to see it at night and capture a few last photos, and I noticed something moving in the bushes and then running around the small green. At first I thought it was a dog, but more people started stopping and pointing, and it was actually a fox! Some guys said she had just had babies–I don’t know if that’s true, but she seemed nervous and kept running around distracting everyone from the bushes, so I guess it could be true! Overall we had a nice, productive trip, but certainly not a vacation or real get-away by any means. I’m hoping I can put some of my learnings to practice at work, and of course I look forward to our next adventure! I love D.C. Glad you’re trip was enjoyable even though you didn’t get to explore much.